Mystery novels—according to a widely held theory—attract readers because the detective brings an off-kilter world into concordance. John le Carré, whose espionage novels I admire, almost always brings the reader to the opposite end of the spectrum. The off-kilter world becomes even more discordant as suspense rises to its climax. The function of his novels is revealing the discordant undertow of secret worlds. Instead of feeling better because order has been restored to the universe, I usually feel grateful that my life has nowhere near that level of complexity, intrigue, moral compromise, etc. They put life in perspective by presenting suffering best avoided. For this reason I don’t think I could read a stack of le Carré books back to back, but every once in a while one of them hits the spot. Currently I’m reading The Tailor of Panama, which I’m enjoying. Beyond that there are five or six of his titles on my shelf that I haven’t read like The Russia House. I guess it will take some time to go through them. That way I can emerge for air, read something simpler, more conducive to everyday ethics. 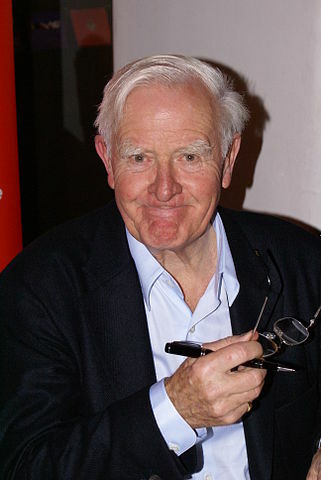 One more thing about le Carré—I believe that reading his masterfully rendered dialogues makes me a better writer. Few turn a better, or more wickedly humorous, spoken phrase.